Many agents are unsure about today's real estate market given the events of the past decade. With so many outside influences on the real estate market, agents struggle to answer questions from clients about the future of real estate. Using national, regional, and local data, we will share insight and information about the historical and current conditions. We'll share how we got where we are today, and what's in store for the coming year. 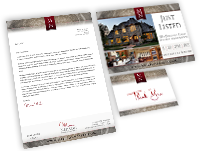 Agents will also hear great "talking points" for client communications. And they'll discover how to help their clients put the real estate market in perspective in this important class!